MMU students and graduates are well-known for their academic strength and technical proficiency. Happily, their spirits shine just as brightly outside of lecture halls and libraries. Recently, three groups of MMU students have shown that they’re more than just book lovers. 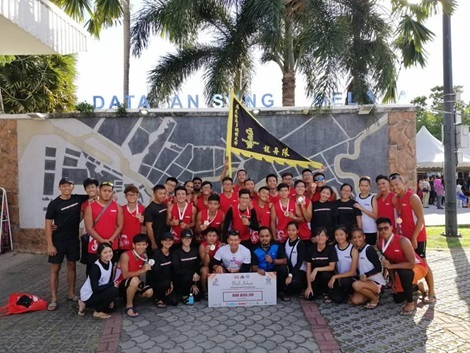 Between 25th and 28th November 2018, the MMU Dragon Boat team bagged the Second Runner-Up spot at the Malaysia Outdoor Carnival 2018, which was organised by All Sports Recreation (ASTREC), and held at the REDTMA Ayer Keroh, Melaka. Comprising members of the MMU Watersports Club, the group challenged the 12 Crews Open category, and stood proudly on the podium with the winners, the PDRM Team, and the First Runner Up, Putrajaya Team. 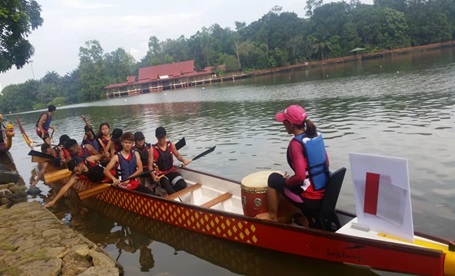 Perhaps the monsoon season at the end of the year was giving the MMU Watersports Club an elemental boost, because, a few days later, on 2nd December 2018, the club again sent representatives to another event, the Festival Antarabangsa Sungai Melaka 2018. The event was held at Casa Del Rio on the Sungai Melaka, and this time they did slightly better, securing the First Runner-Up spot, losing out to the PDRM team again. We wish the MMU Watersports Club all the best, and hopefully next time they can make the best of the opportunity to overtake the police and not get fined. Over in Penang, another group of MMU students participated in the Festival Sukan Kombat (FESCOM) Penang. Six of our students were part of the International Judo Championships 2018 there, which was held on the 1st and 2nd of December 2018. 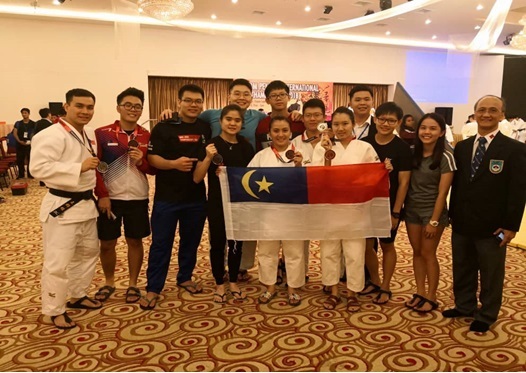 Two of the lads got on the podium; Irfan Syah Putra clinched a bronze in the Nage-No-Kata category and Wendle Teo also scored a bronze in the Ju-No-Kata category.